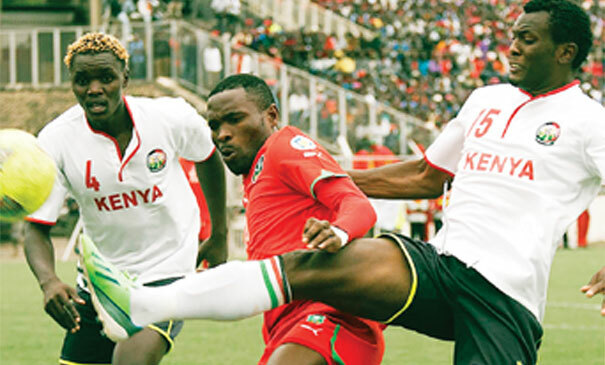 Malawi national football team, as usual, lost 1-0 to Kenya in a friendly which took place at Moi International Sports Stadium in Nairobi Tuesday. Francis Kahata scored for the Harambee Stars to hand the Flames their second defeat in three days, having also lost 3-0 to Morocco in a 2019 Africa Cup of Nations qualifying match played in Casablanca. The Flames have now failed to win in eight consecutive games under Ronny van Geneugden (RVG) from Belgium. In 17 games in all competitions since being hired last year, RVG has won twice, drawn eight games and lost six times. In Tuesday’s game, RVG made some changes to the squad which lost in Morocco; John Lanjesi and Rafik Namwela played in the starting 11 at the expense of Denis Chembezi and Frank Banda, respectively. In the second-half, Chiukepo Msowoya replaced Richard Mbulu whereas Banda was introduced in place of Gabadinho Mhango upfront but the Flames could not get an equaliser. The Flames have scored six goals and conceded 12 goals in the 17 games under RVG. There is no doubt that the Flames are on a steady decline.